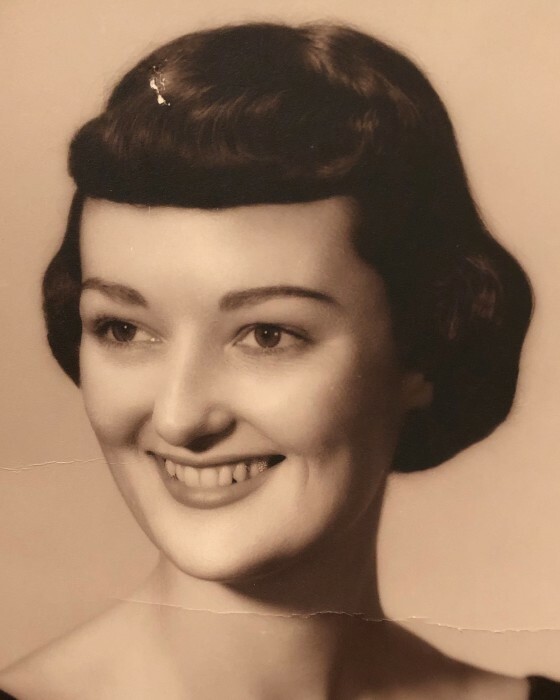 Patricia (Pat) Lee McQuaid was born on April 2, 1936 to loving parents Frances Louis Hymes and Howard Frank. She was a proud San Francisco native who spent her childhood in the Richmond District and summers up the Russian River. As a teen, Pat helped her mother and stepfather Chet Hymes welcome four little sisters J.D., Kim, Wendy, and Cindy. Her father Howie and stepmother Helen also expanded the family and gave Pat a little brother Kevin and little sister Karen. Her love for her large family was strong and unwavering no matter age, time or distance. In June of 1957, Pat married Donald John McQuaid at Star of the Sea church in San Francisco. A little over a year later, Pat and Don welcomed a daughter, Allison. She was followed by Scott and Matthew. The family spent summers up the River thinking their family was complete until 1975 when they welcomed Megan. As time moved on, Allison married Vance, Scott married Elissa, Matthew married Michelle, and Megan married Bob. Pat’s greatest joy came from her four grandchildren. Allison made Pat a grandmother in 1990 with the birth of Sean who was joined by Andrew in 1992. Matthew and Michelle soon welcomed Luke in 2003 and Pat couldn’t have been more thrilled. Last but certainly not least, Pat got her granddaughter when Scott and Elissa welcomed Abigail in 2007. Pat had a fierce love and loyalty to Don for over 61 years. Through great times and times that would challenge anyone’s faith and loyalty, she and Don always stood strong taking on each day side by side showing family and friends what it truly means to be husband and wife. Her long lasting friendships that started at Star of the Sea were a perfect example of the woman Pat was- loyal to the end. Ruth and Manny, Bob and Daph, Howie and Dede, and Doreen, she loved all of you unconditionally and cherished your friendship. Admiration for her large and eclectic extended family including many nieces, nephews, and their children. Stories about family near or far always made Pat smile. The cabin up the Russian River was Pat’s happy place. Sitting in her rocking chair on the front porch reading is exactly where she is now smiling down on all of us. We will miss her terribly but take comfort in knowing that she is now at peace. Services to be held at Star of the Valley Catholic Church, 545 White Oak Drive (in Oakmont), Santa Rosa, CA 95409 at 11:00 on Saturday, February 2, 2019. Celebration of Life to follow at Oakmont Golf Club. In lieu of flowers, please make donations to Alzheimers Association at www.alz.org.